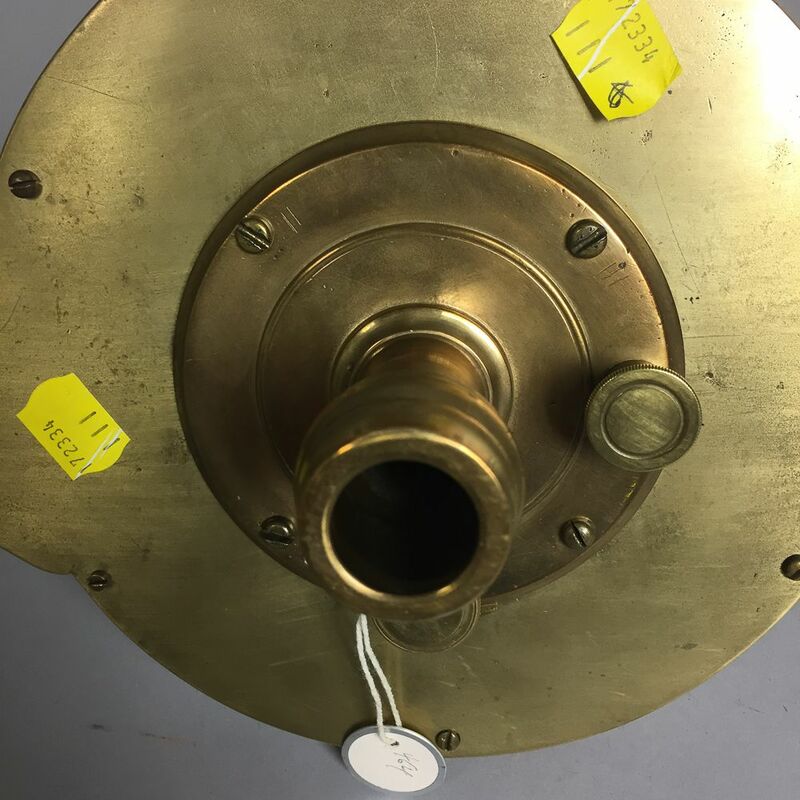 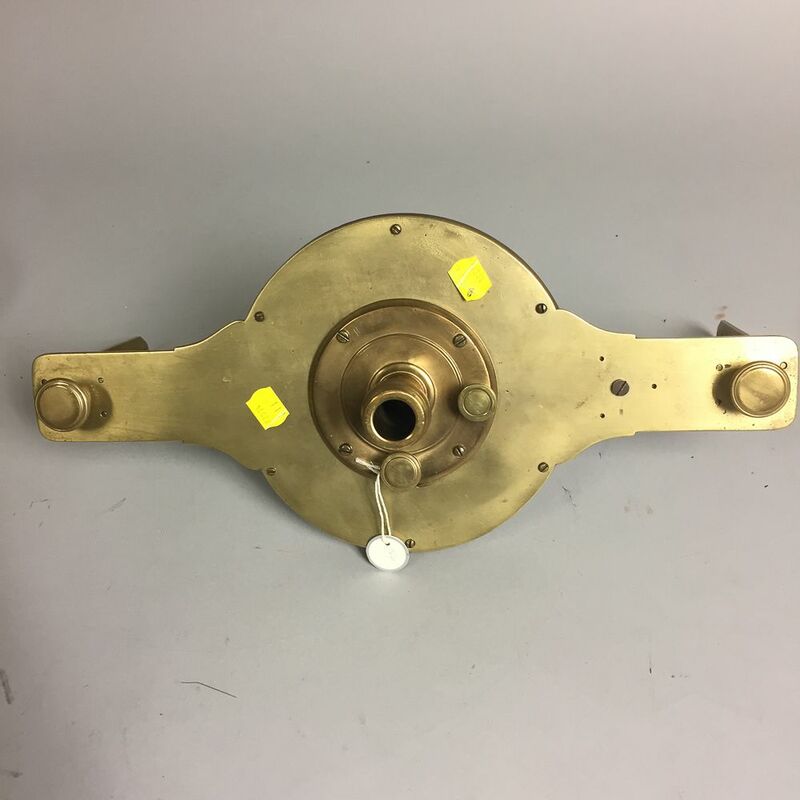 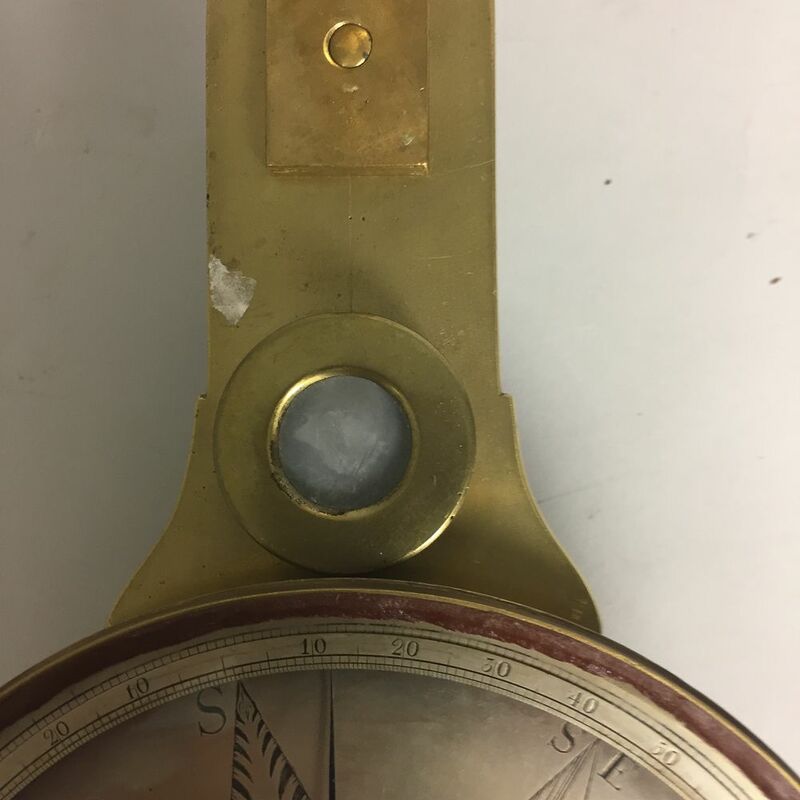 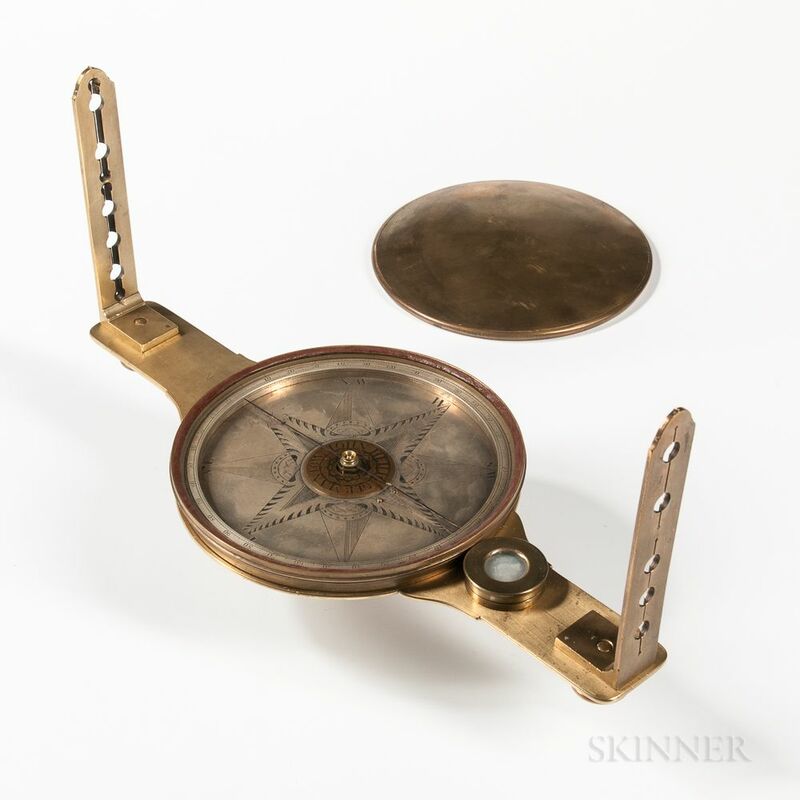 John Heilig Brass Surveyor's Compass, c. 1800, Germantown, Pennsylvania, 7-in. 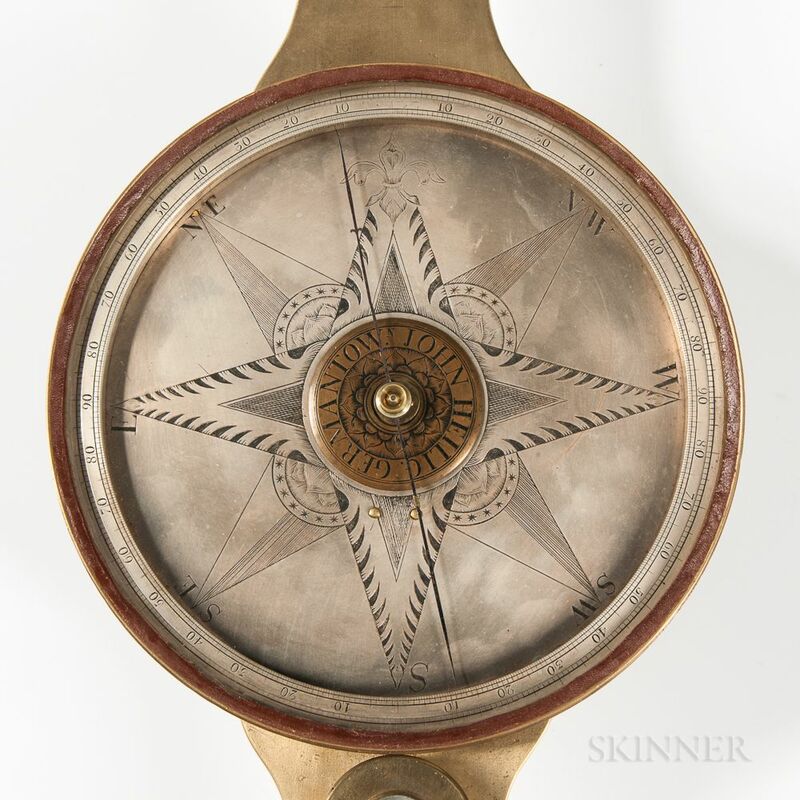 silvered dial engraved with a fleur-de-lis representing north, raised brass center boss engraved "John Heilig. 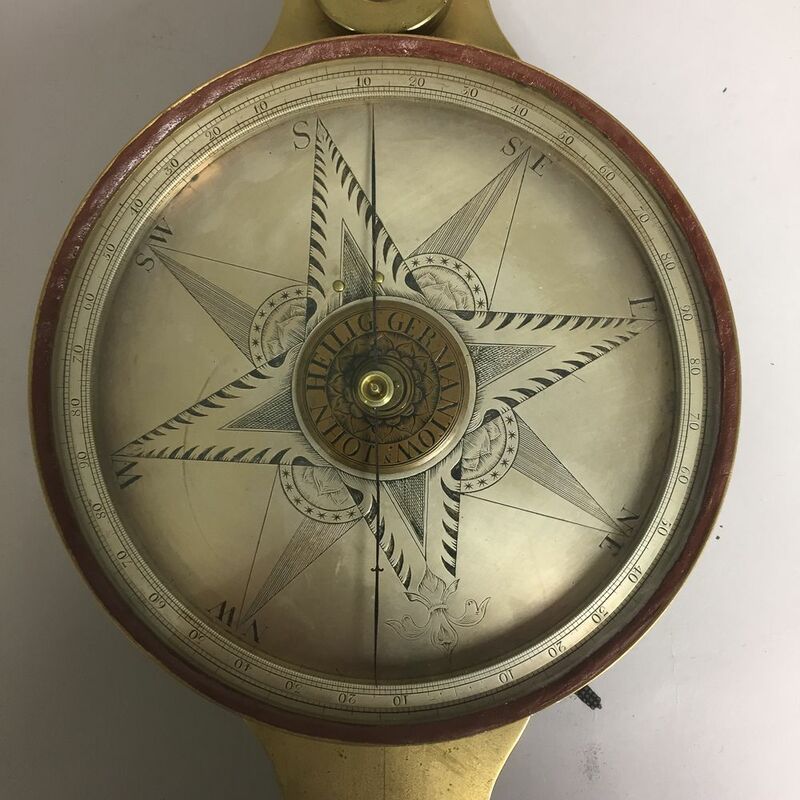 Germantown," outer scale divided in four quadrants, blued-steel needle with needle lifter on underside, circular-cased level, one arm engraved with the letter "N," and vernier knob on underside. 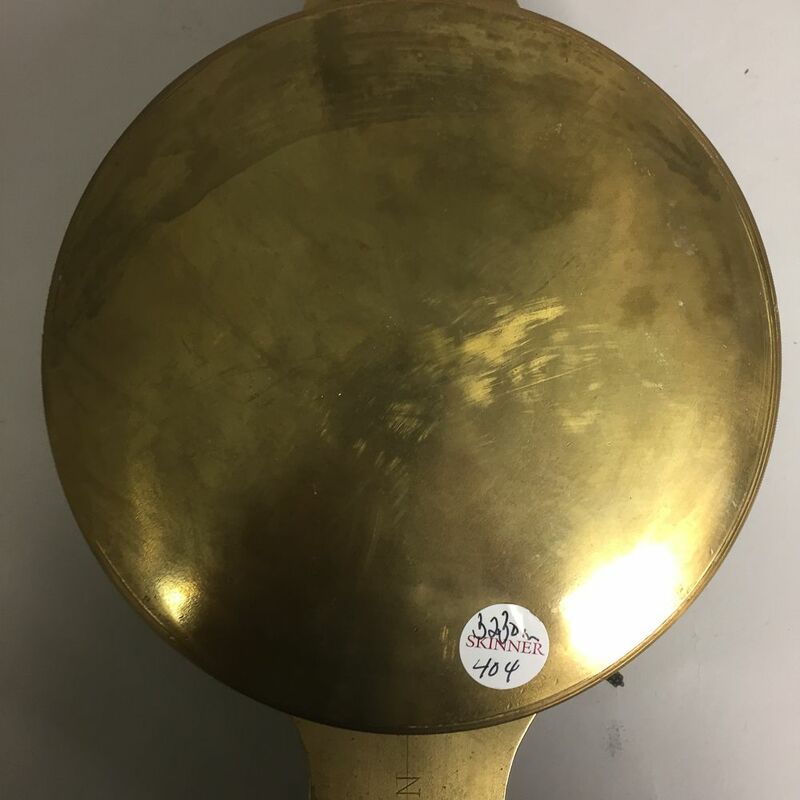 Note: Similar instruments are in the collection of the Metropolitan Museum of Art and the Schwenkfelder Library and Heritage Center in Pennsburg, Pennsylvania. 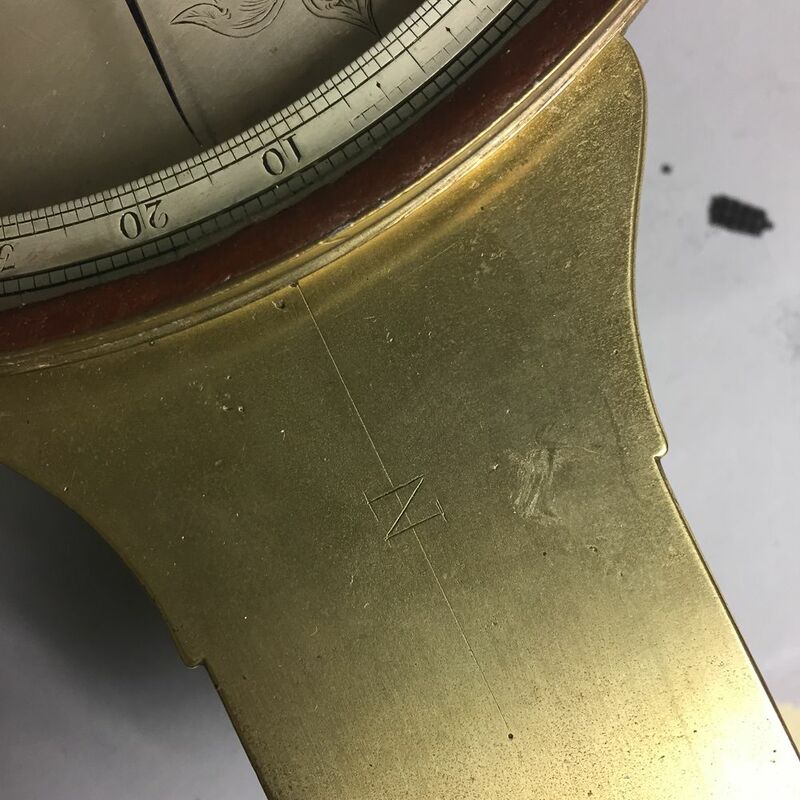 According to the Schwenkfelder Library, John Heilig was married to Susanna Rittenhouse, sister to Matthais Rittenhouse, the father of David Rittenhouse.